The buy-side community's growing acceptance of FX TCA promises a brave new world. 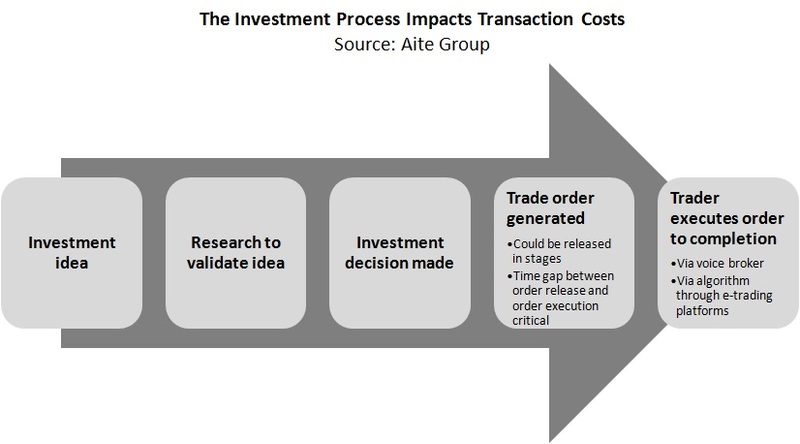 Boston, May 7, 2014 – Transaction cost analysis is gradually evolving from a post-trade compliance obligation to a real-time investment decision-making tool, but it remains far from perfect. Even so, FX TCA providers have aggressively moved forward over the last few years. To ensure continued progress and refine their investment decision-making process, buy-side firms must continue to adopt these solutions. This Impact Report introduces newly arrived FX TCA vendors and reviews the methods in which they analyze FX trading costs for buy-side investment managers. It also examines some of the key challenges faced by TCA providers and TCA users, and it profiles 10 leading FX TCA solution providers: Abel Noser Solutions, Credit Suisse, FX Transparency, Global Trading Analytics, Klarity FX, ITG, Morgan Stanley, Portware, Thomson Reuters FXall, and TradingScreen. Aite Group conducted a series of vendor briefings, face-to-face meetings, live product demos, and WebEx demos to perform the research that supports this report. This 58-page Impact Report contains 27 figures and 16 tables. Clients of Aite Group's Institutional Securities & Investments service can download this report.